@wolfgrimdark thanks for taking the time to make that post. I will absolutely look at the ones you posted as my base and go from there. 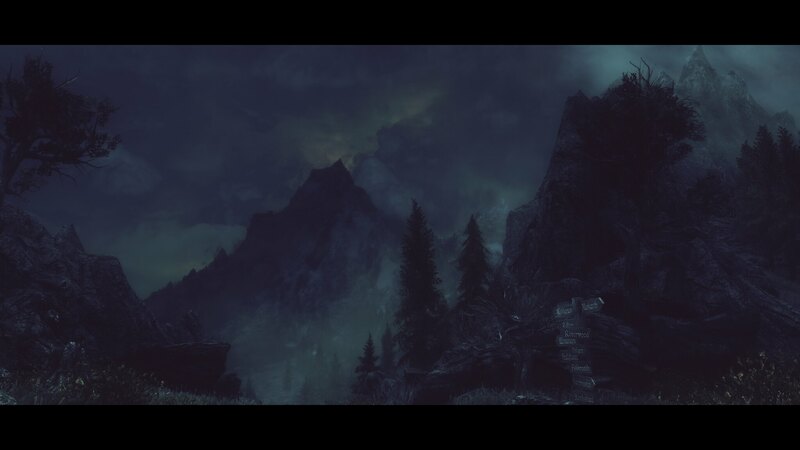 Is this Vanilla or SE (i'm assuming some of these mods are available in both, but some might not be)? That is quite awesome Wolf, thank you to have shared this with us. Those pics, and that list of mods are great. Thank you! 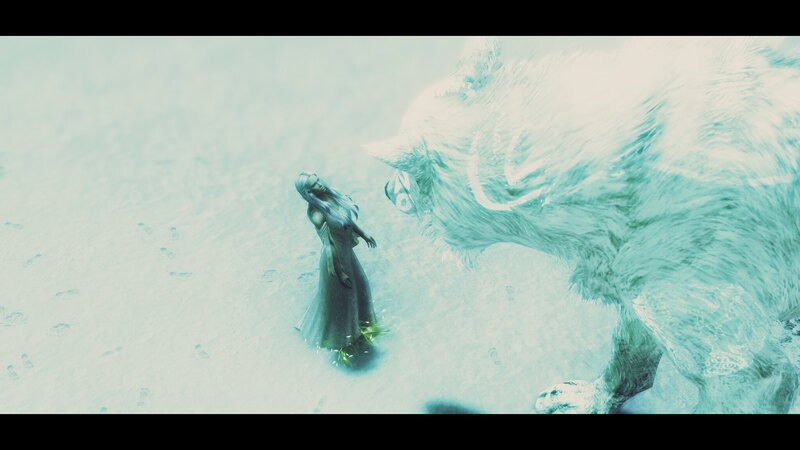 I admit it is a big passion of mine to combine playing a game, making screenshots, and writing stories about my characters. Is the game completely stable with that many mods? How often do you get a crash, etc if ever? Also, are you still using the original version or the special edition? Compared to some of my friends my list is a small one Mod lists are deceiving as well. For example I have maybe 30-40 mods that are just little ESP files I made to fix something or add some little thing for my game. I might have 40 mods that are small textures … that most sane people would combine into a single big mod. I don't do bashed patches or combined patches. For all my mod and ENB work I prefer keeping game play pretty simple. So my mods are as is and I just use NMM to manage them. Sometimes what is more interesting than the number of mods is the size of the Skyrim DATA folder. Tapioks is doing a "lets play" type of game with a 80+ GB install. Mine is only 43.4 GB in comparison. Anyhow to answer the question, yes my game is, on average, stable. I have to quantify it a bit as I am a major fan of using ENB to play the game. This also means mileage will vary a lot from player to player depending on their set-up. But for me on binary 319 (current ENB for Skyrim) my game is very stable - for Skyrim. No crashes most nights and very few issues. But I prefer binary 236, which is older, and when I use that one I can sometimes go a night with no issues and other nights infinite loading screens might pop-up or a random crash 2-3 in a couple of hours of playing. Hence I say on average to mean overall it is stable enough that I enjoy playing and don't get enough crashes to be anything ore than a minor annoyance. I can't say it is completely stable though. But I can say I tested the game with no mods at all on and still got some random crashes (although no infinite loading screens - that is usually a memory issue with lots of HR mods and enblocal memory settings). It's an old engine and it never was that well optimized IMO. I am playing original as well. I have tried SSE 3 times. Every time I went back to classic. Mainly because classic still has some mods I like that can't be converted to SE because of scripting needs SKSE. 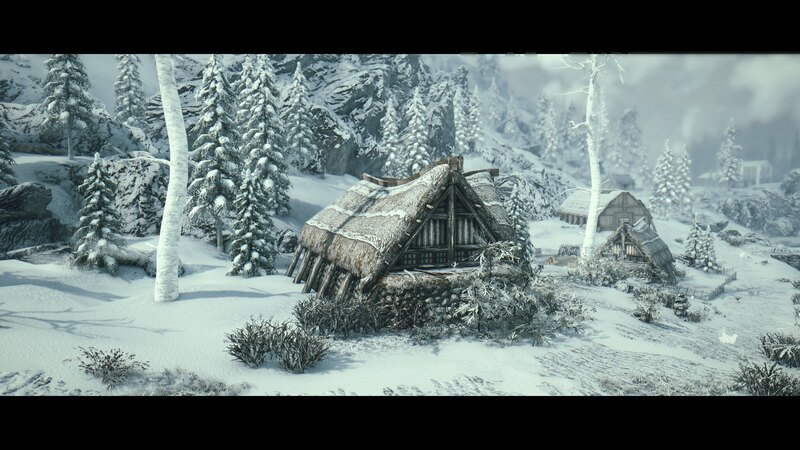 Also because it lacks the features of classic ENB. It is more stable but simply doesn't look as nice. That being said it is coming along. Every day more mods and better ENB and ReShade presets. The only reason, now, that I am still on classic is that the latest win10 patch fixed the 4GB issue and now my game is as stable as it ever was on win7 for the most part. 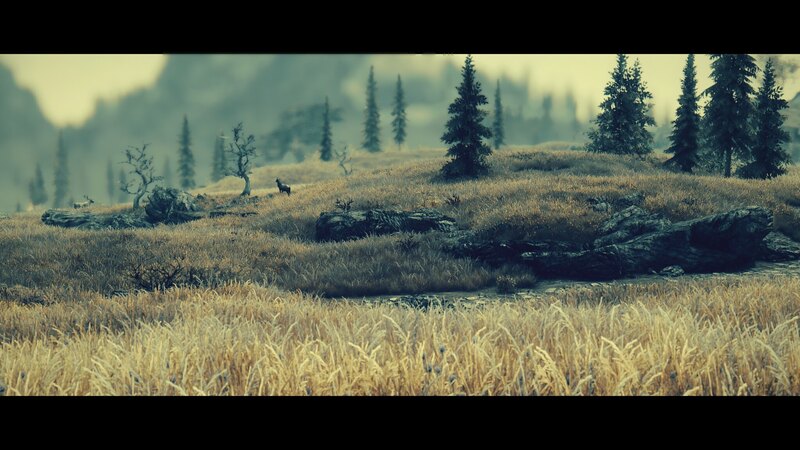 I would say its a balance as SSE has plenty of mods now, some that you can't fine for classic. But it is also missing a more robust SKSE. 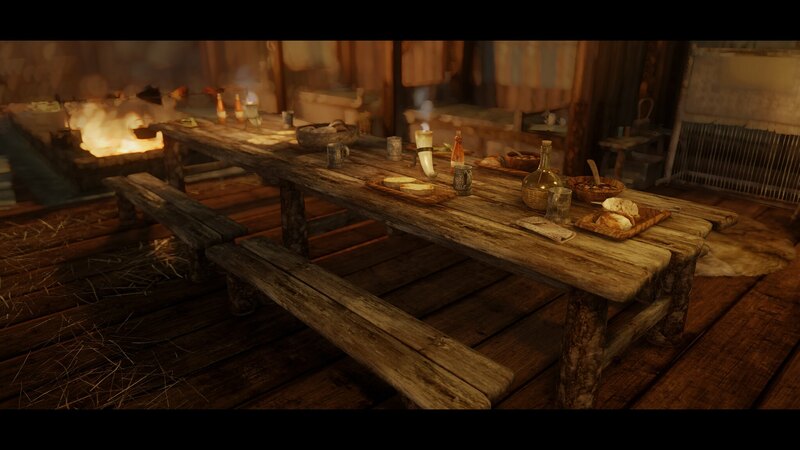 It also has some nice graphic features yet misses many ENB features. I also just don't like the visual design they did with SSE which for now is the deciding factor for me to remain on classic … that and a few more mods and I am so used to it. 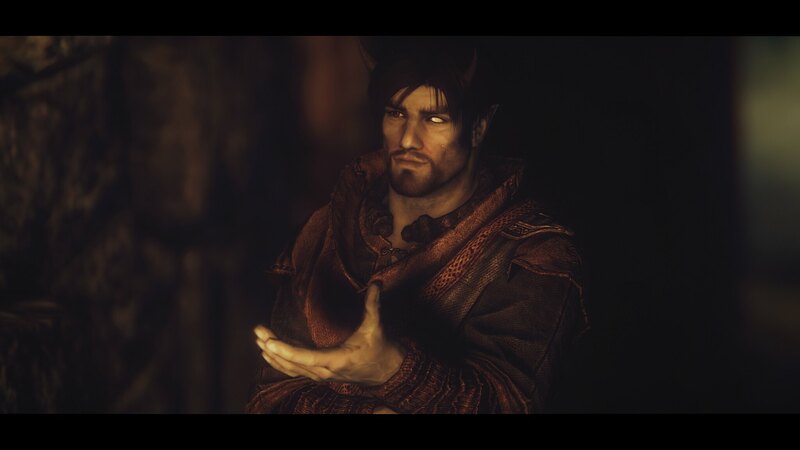 I would have to port over a lot of custom stuff to SSE for my stories and too lazy to want to do that now. I am on vanilla (see my long reply to JD) but not for any huge reason beyond comfort level, lazy, classic is running nice right now, few more mod and ENB options. SE is more stable though and is coming along nice so I think it really depends on what your focus is and what is important to you. 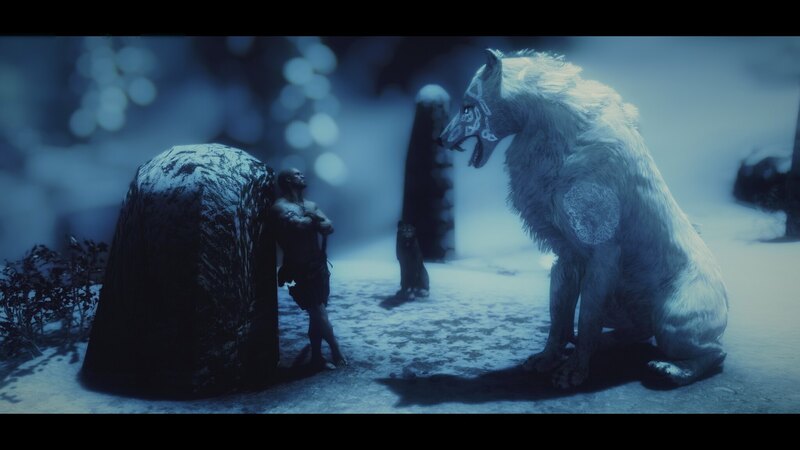 I can't be 100% sure but I think almost all those mods are on SSE as well. If not there are comparable ones. I tend to like a more fantasy style and the classic ENB presets are much better for that. Last edited by wolfgrimdark; February 3rd, 2019 at 01:59. I'll leave a link to my steam captures. On a side note Flickr has changed there business model and so over 13K of my images have been purged on Flickr. Expect some red X's in my previous posts. Probably move to Imgur or something. Still looking. Every time i think I’m finally done and not going back for anymore modding goodness this thread pops up and give me the itch. Gorgeous look so surrreal, very dreamy! I do take breaks. Played through POE1 and 2 last fall. Finished a 140 hour game of PK so far this winter. 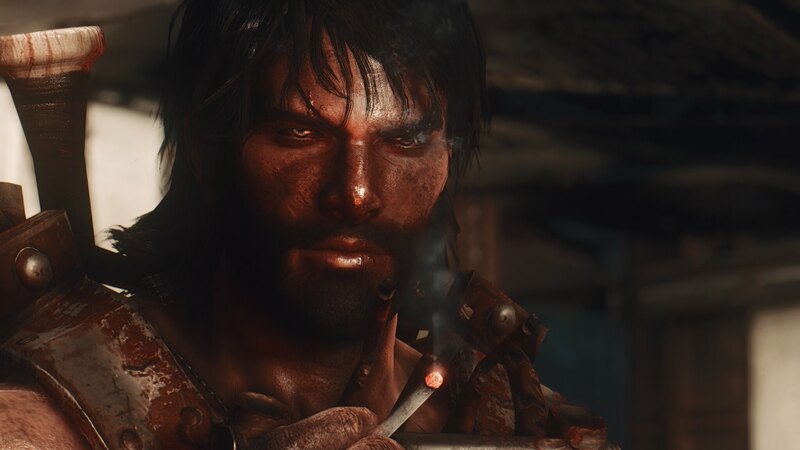 Still playing FO4 and just rebuilt my entire FO4 world with a new character … based lightly off the one I am now playing in both PK and Skyrim named Wulver Blackfur, although in FO4 his name is Lobo as in PK and Skyrim he is a Tiefling. 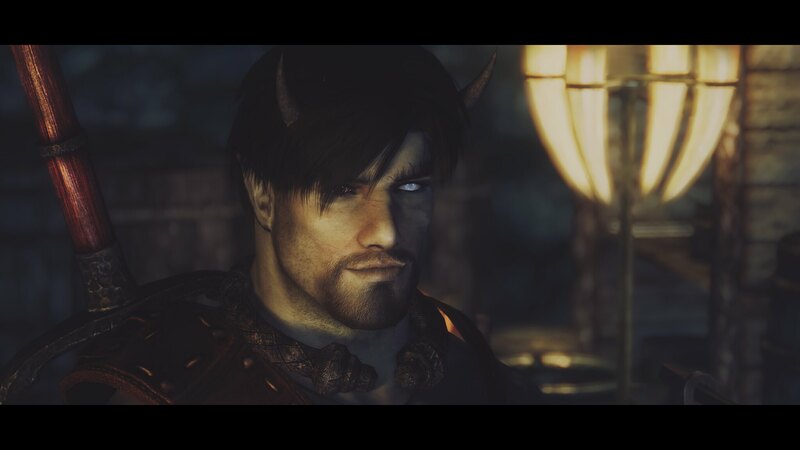 Also great fun to make portraits for PK with Skyrim. This is Wulver my current Ranger in PK made from Wulver in Skyrim. Last edited by wolfgrimdark; February 3rd, 2019 at 01:58. Love the landscape shots, that’s what i spend most of my time with. That and adding monsters and combat mods. 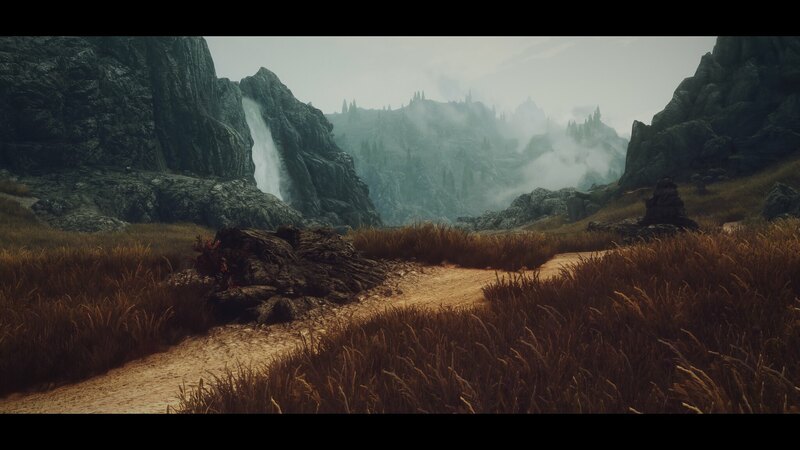 Are you using Dyndolod, messing with ugrids or something else? I don't use Dyndolod as I just had too many headaches with it. I change things a bit too much and it was always having issues. Instead I just play with ugrids=7. It makes a decent difference without causing any real game issues (been using that setting for over 4 years now). So that combined with subtle DOF/blur/fog the game looks pretty nice - at least nice enough for me. 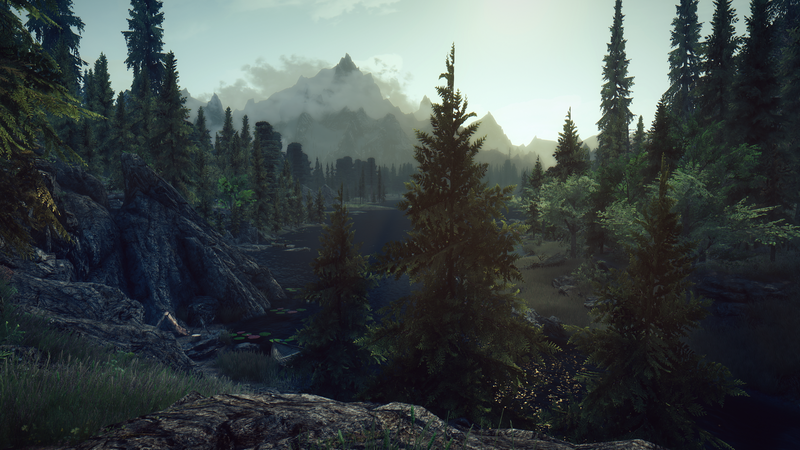 That being said if you want the absolute best landscapes that are not close-ups but more panaramic or distance then Dyndolod is the way to go. I used dyndolod with my last mod run. I tweak and add mods here or there a lot so having to rerun it every time along with fnis and wyre bash was tedious. The results were impressive though. The hardest part of modding is stopping. I always find a mod i want to add and then I’m changing everything and hoping it all plays nice together. I usually try to limit it to 150 mods but even that seems hard. Going to probably use MO2 this time. MO1 always treated me well. Do you use it? Any changes i should know about? Aye it can be very hard to resist the modding lure Right now I have 158 plug-ins and 278 active mods for my Skyrim classic game. 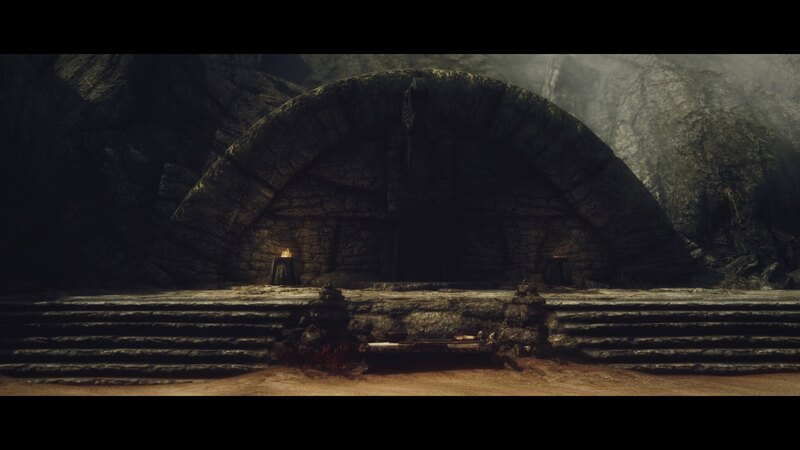 I still use NMM for Skyrim. I tried MO twice and had issues both times so have decided to stick with NMM probably for life as far as Skyrim classic goes. For FO4, and FNV, I am using Vortex. I swore at it a lot for the first month or two until I figured it out and got used to it. Now I like it. But I don't dare disturb the world I have carefully built over the last year (and longer) in Skyrim so I leave it alone with the last version of NMM they updated. Should I ever rebuild Skyrim from scratch I will move to Vortex for that. I also don't use profiles though - once reason MO never appealed to me. Even in Vortex I don't use profiles. I prefer to focus on a single character and game build per game. Just another quirk of my personality. Nothing against MO or profiles at all.